Back among the Forlorn Hope party, things were getting desperate. Around this time, William Eddy and William Foster got into a wrestling match over the continued suggestions of shooting someone for food. Foster was intent on sacrificing someone, and Eddy had to subdue him as Foster advanced with a knife. 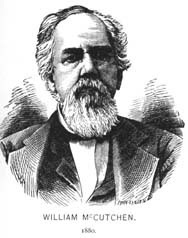 This account, however, comes from Quinn Thornton, the sensationalist writer mentioned earlier, and other Donner Party members frequently accused Thornton and his main source William Eddy of being profound liars. Whether this fight ever took place, and indeed whether anyone in the Forlorn Hope party ever seriously considered sacrificing another emigrant for food, is hard to establish with certainty. It does, however, appear that such discussions took place in regards to the Indians Luis and Salvadore, because it is well established that they fled in fear of their lives. In any case, the Forlorn Hope caught up with Luis and Salvadore the day after the alleged fight between Eddy and Foster. Accounts of what happened next vary among the survivors. According to John Sinclair, who wrote an account of the events based on interviews with survivors, Salvadore was already dead when the party found them. Luis was near death, attempting to drink from a stream. Sinclair wrote that Luis “only lived about an hour” thereafter. …They came upon the Indians, lying upon the ground in a totally helpless condition. They had been without food for eight or nine days…They could not, probably, have lived for more than two or three hours. Nevertheless, Eddy remonstrated against their being killed. [William Eddy is always portrayed as the hero in Thornton’s accounts.] Foster affirmed that he was compelled to do it…Luis was told that he must die and was shot through the head. Salvadore was dispatched in the same manner immediately after…The flesh was then cut from their bones and dried. The Reed family had by now been taken in by others, as their cabin was unlivable since they had removed the hides from the roof for food. Virginia and some of her siblings were living with the Breens, while Mrs. Reed and her employees, Milt and Eliza, were moving back and forth between the Keseberg hut and the Graves cabin (which abutted the now unlivable Reed cabin). For several days they moved among Indian tribes, then made the final drive into Johnson’s Ranch, a large settlement about thirty-five miles north of Sutter’s Fort. William Eddy reached it first, having left the party resting with one of the Indian tribes. 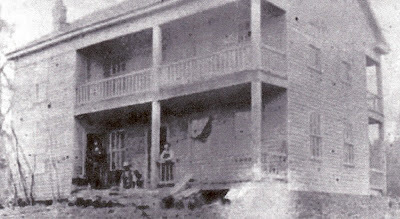 Riders on horseback carried food and provisions back to the others, and by January 18th, all seven survivors had been brought into Johnson’s Ranch. Of the seventeen who had originally set out from Truckee Lake thirty-three days earlier, nine were now dead (one of those, Charley Burger, had died after returning with William Murphy to the camp). They had lost eight people along the way, two perhaps intentionally. Of the dead, only Charles Stanton had avoided cannibalization, dying before that dreadful choice had been forced on the party. One perhaps unexpected statistic from the Forlorn Hope is the fact that all the women survived. The original party had included twelve men and five women. Two of the men had turned back, and eight others had perished. The women, however, all made it through alive. There are any number of reasons why this may have happened, the least of which is simply luck of the draw. It may also, however, indicate that in the preceding months of low rations and hardships, the women were, in general, better taken care of. One modern scholar has suggested that the women had a greater survival rate because women are biologically better suited to surviving cold weather and starvation, with their lower core body temperature and lower nutritional requirements. After the survivors of the Forlorn Hope reached Johnson’s Ranch, immediate plans were made to send rescue parties back into the mountains. This proved, however, to be difficult. Johnson’s Ranch had only a few able-bodied men (most California men were involved in a war with Mexico at the time), and because of heavy rains throughout the winter, much of the land between Johnson’s Ranch and Sutter’s Fort was waterlogged and impassable. It would be several weeks before a party could be sent with provisions. Meanwhile, the emigrants at Truckee Lake and Alder Creek were growing more desperate by the day. The blizzard of January 9th to 13th had left their cabins and shelters completely buried in snow. On the 15th, Breen expressed hope that the party they’d sent out in December would return soon from Sutter’s Fort: “Expecting some account from Sutter’s soon.” He had no way of knowing, of course, that they were only just exiting the mountain passes, depleted by half. Within a few days, the majority of the camp was living primarily on boiled animal hides and bones. Movement between cabins was treacherous and required digging tunnels through the snow and walking atop the frozen crust. Steps were carved out of the snow to lead up and down from the doorways. To an observer from a nearby mountain peak, the valley would have looked like a flat snowy landscape of indeterminate depth, with no cabins or life visible except those few souls who passed between buildings to carry news or hunt for firewood. The Donner Party continued to hope for provisions. On January 20th, Breen wrote: “Expecting some person across the Mountain this week.” There was certainly no reason for that expectation, other than the Forlorn Hope’s long absence and James Reed’s even longer absence. It must have seemed to Breen and the rest of the Donner Party that someone must surely turn up soon. Another storm passed through on the 23rd, with Breen stating: “Blew hard and snowed all night; the most severe storm we experienced this winter,” and later, “Heard nothing from Murphy camp since the storm; expect to hear they suffered some.” A few days after that: “Those that went to Sutter’s not yet returned. Provisions getting very scant. People getting weak living on short allowance of hides.” By now, not only were they living on animal hides – with a nutritional content roughly the same as cardboard, and not nearly as easy on the palate – but they were even rationing those hides, only eating a small amount each day. Sometime during this second storm of January, the Keseberg family’s newborn died. He had been born on the trail, probably the previous summer. Breen reports that three of the Murphy children were sick, as well as Mr. Keseberg. 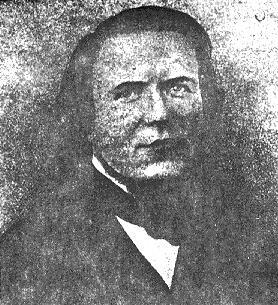 Landrum Murphy, the oldest Murphy son, had been in and out of delirium since the middle of the month, and he finally died on January 31st. Peggy [his wife] very uneasy for fear we shall all perish with hunger. We have but a little meat left, and only part of 3 hides has to support Mrs. Reed. She has nothing left but one hide and it is on Graves’ [cabin]. Milt [Elliot] is living there and likely will keep that hide. He referred again several days later to this disagreement, noting that Mrs. Graves refused to give any hides to Mrs. Reed, and calling Mrs. Graves “a case” (that is, a “head case”). Across the mountains, relief parties were making their final preparations for travel. Two parties left north-central California in early February; the second, led by James Reed and William McCutchen, left about a week after the first party. In the meantime, the Donner Party continued to suffer. A new four-foot layer of snow fell, and five-year-old Margaret Eddy died. A few days later, her mother, wife of William Eddy, also perished. They were buried together in the snow. About the same time, Harriet McCutchen died. 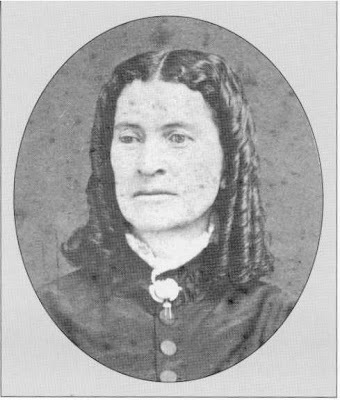 She was the only child of William and Amanda McCutchen. William had been gone from the Donner Party since September, when he traveled to Sutter’s Fort with Charles Stanton on the first supply trip. Amanda had left with the Forlorn Hope in December. From that time forward, the Graves family had been caring for the one-year-old Harriet, but one has to wonder how much care they were giving her as rations ran low and desperation ran high. The deaths continued now seemingly every few days. On February 7th, August Spitzer died. He had been staying in the Breen cabin for some time. When Milt Elliott died – our faithful friend, who seemed so like a brother – my mother and I dragged him up out of the cabin and covered him with snow. Commencing at his feet, I patted the pure white snow down softly until I reached his face. Poor Milt! It was hard to cover that face from sight forever, for with his death our best friend was gone. ?? 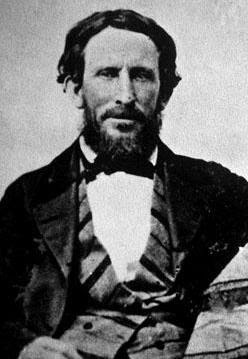 What Donner Party survivors called Thornton "a profound liar"? "The house of Mr. Johnson is a small building of two rooms, one-half constructed of logs, the other of adobes or sun-dried bricks." --Edwin Bryant. 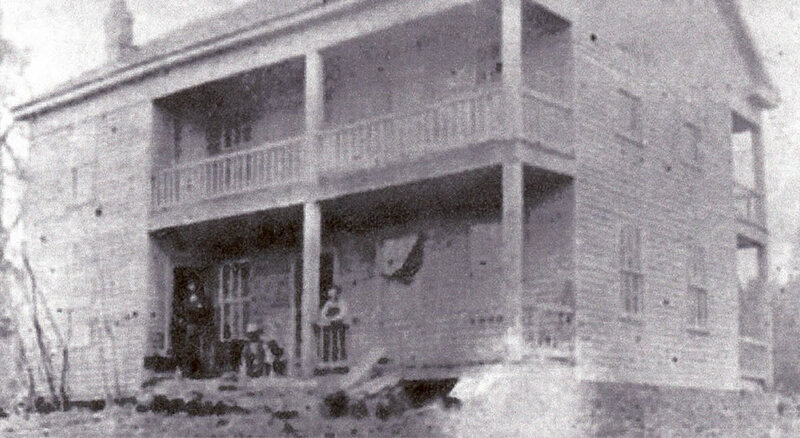 The house pictured did not exist in 1847. Thanks for your comments and corrections, Kristin, I appreciate it. My wording about "profound liar" was a bit of writer's rhetoric. (Maybe Quinn Thornton is rubbing off on me!) My research indicates that Donner Party survivors called William Eddy "Lying Eddy" because of the exaggerations present in Thornton's account - Thornton, of course, used Eddy as a primary source for his book. So I was extrapolating there and suggesting that both Eddy AND Thornton were stretching the truth in the name of sensationalism. And thank you for the clarification on the house at Johnson's Ranch. My research had indicated that it was just a small place in the 1840's. I subtitled the picture in question as being "circa 1860's," but I realize now that I wasn't clear. I didn't mean to imply that this particular house was there in 1847. 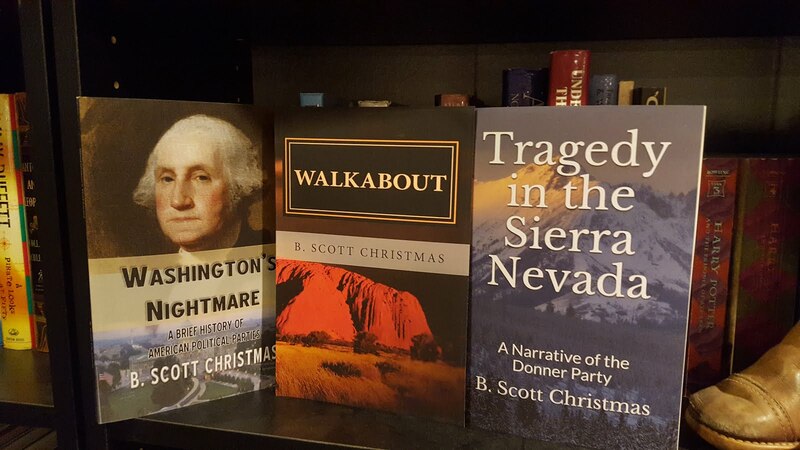 I also would like to thank you for all your hard work on the Donner Party - your websites were invaluable to me in writing this account. I will give you the appropriate "credit" in the last installment, where I intend to provide a bibliography and links.